Entirely self-produced, both in the beat and in the lyrics, and also artwork and still photos, this record is made up by 10 tracks, with the cooperation of many young rappers of OTM studio. The voice of moving generations is here unleashed with all its energy, to describe things from the point of view of who lives Crisi (Crisis) everyday. That’s not all: this album from OTM is the charge of hip-hop music with the energy of politics. It’s a mix of elements, in a periodic table made of verses. It is the real movement that tears down every attempt to label as “second generation” who is born and raised in Italy, but is still considered a stranger. Of who walked in the streets to say yes to Ius Soli. Of who, through his own words and his own music, sends a clear message: “if things don’t change, we’ll make them change!”. The Crisi (Crisis), then, is not felt passively anymore. 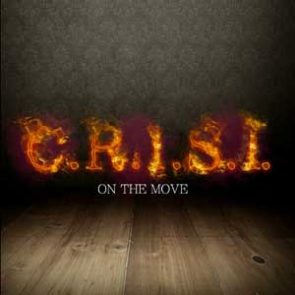 Listening to On The Move’s Crisis is, instead, a way to join the challenge coming from the moving generations. REC, MIX, MASTER: Studio61 by Audioplate C.I.O.